BitTorrent Pro – Torrent App v3.6 – Find torrents and download them directly to your phone or tablet, AD-FREE, with the official BitTorrent® Pro app for Android. We know you love media– and that you don’t want to be tied to your desktop to enjoy it. 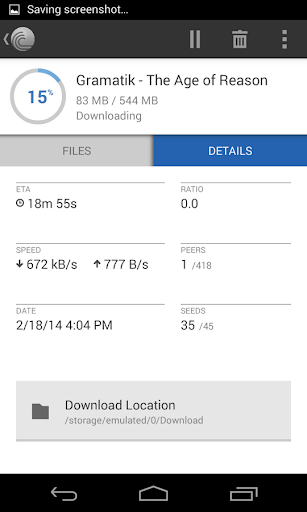 We’ve created this handy Android torrent app to help you get media, wherever you are. And, because this edition of the BitTorrent Android app is new to the Google Play store, you can upgrade to BitTorrent Pro at a special introductory price.